It was a dark and stormy night in Sydney 1848, when 15-year-old Mary Ann Gill stole out her bedroom window to elope with a wayward gentleman settler. Discovering his daughter’s disappearance, her furious father chased the couple to a local racecourse and then fired two pistols at his daughter’s suitor, only narrowly missing his target. What followed became Australia’s most scandalous abduction trial of the era, as well as an extraordinary story of adventure and misadventure, both in Australia and abroad. Through humiliation and heartache, betrayal and bankruptcy, Mary Ann hung on to James’ promise to marry her. This compelling biography traces the life of a Currency Lass who was born at a time when convicts worked the streets of Sydney and came of age during a period of dramatic social and political change. With little more than a newspaper clipping, historian Kiera Lindsey uncovered the eventful life of her great, great, great aunt, recreating this story in a way that Professor Penny Russell says ‘fearlessly carves a new path between history and fiction’. Kiera Lindsey has a passion for Australian history. She has worked in the Australian film and television industries and presented a history program on ABC Radio. She has also published a regular column in The Adelaide Review. She lectures in Australian history at the University of South Australia, and was the winner of the inaugural Greg Dening Memorial Prize. 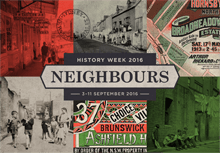 Babette Smith OAM is a freelance historian and Adjunct Lecturer at the University of New England. 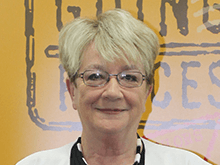 Her latest book The Luck of the Irish won the 2015 NSW Premier’s Prize (Regional and Community history) and is shortlisted for the Kay Daniels award for excellence in research. Other works include Australia’s Birthstain, A Cargo of Women, Mothers & Sons and Coming Up for Air. Babette combines writing and historical research with her practice as a mediator of disputes in family law, workplace, health, and business matters. Neighbours didn’t always get along – but sometimes, perhaps, they got along a little too well. When 15-year-old Mary Ann Gill stole out her bedroom window in 1848 to elope with gentleman settler, James Kinchela, her furious father chased the couple to a local racecourse and then fired two pistols at his daughter’s suitor, only narrowly missing his target. What followed became Australia’s most scandalous abduction trial of the era, as well as an extraordinary story of adventure and misadventure, both in Australia and abroad. 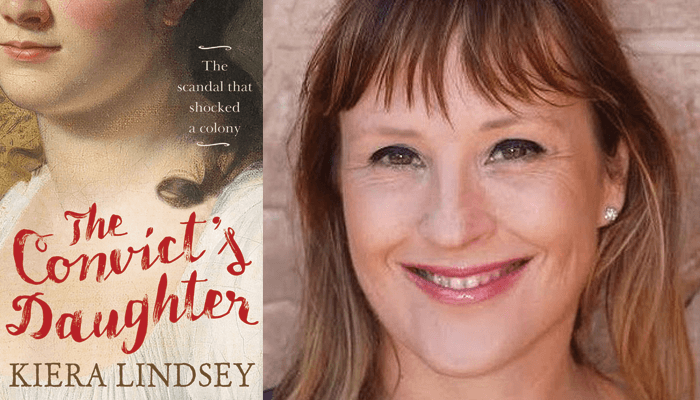 In conversation with Babette Smith OAM, Kiera Lindsey will reveal how, armed with little more than a newspaper clipping, she pieced together the compelling story of the eventful life of her great, great, great aunt.